From sloppy mac and cheese and a slow cooker American chop suey to pizza casserole and unstuffed cabbage, you're sure to find a dinner winner from among these tasty ground beef casseroles. 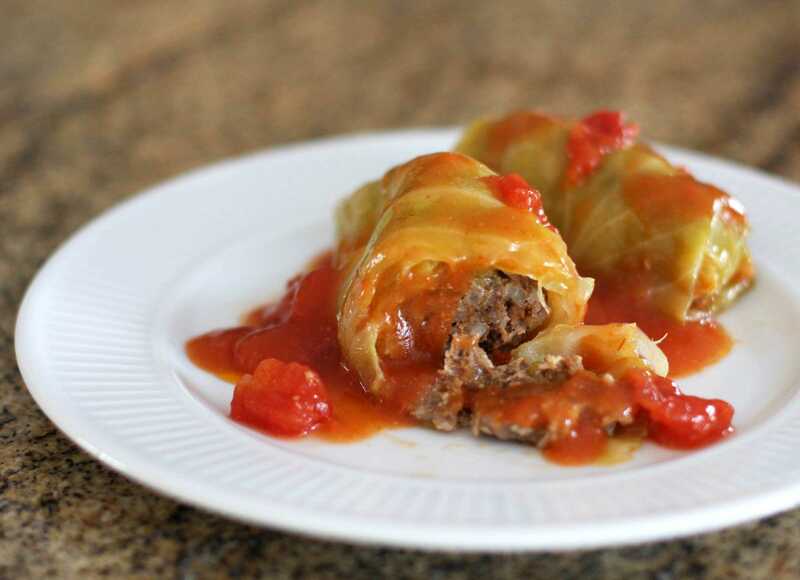 These baked stuffed cabbage rolls are made with a tomato-based sauce that includes a mixture of ground beef, rice, and onion that makes a delicious filling for the partially cooked cabbage leaves. The "sloppy" part of this macaroni and cheese recipe is the tasty sloppy Joe layer. A ground beef layer is followed with a homemade macaroni and cheese layer, topped with bread crumbs and baked to perfection. Make this easy pasta and ground beef combination a casserole by adding a cheese topping. Pop it in the oven for a few minutes and enjoy a splendid meal. This hearty meaty layered ziti casserole is made with ground beef and Italian sausage, along with three cheeses. Serve this hearty, meaty ziti bake with a simple salad and crusty garlic bread. This hearty loaded pizza pasta casserole is perfect for a pizza craving. It makes a fabulous everyday family meal, or take it along to a potluck dinner. Trying these unstuffed peppers is a great way to enjoy the flavors of stuffed peppers, and the preparation takes about half the time. These great tasting stuffed bell peppers are filled with a mixture of ground beef and rice. Stuffed peppers make a delicious meal with a tossed salad, or served with mashed or baked potatoes. Crescent roll dough makes the crust in this tasty ground beef casserole recipe. Sour cream and shredded cheese give the beef stroganoff flavor. Layers of tortillas, cheese, beans, and ground beef are flavored with burrito seasoning. Serve this delicious cheesy burrito casserole with a salad and hot cooked Mexican style rice. Southwestern seasonings make this a flavorful all-in-one casserole meal your family will love. The chili seasonings are a good match with the potatoes, corn, and ground beef. Taco seasoning adds fabulous flavor to this cheeseburger macaroni skillet casserole, and it's super quick and easy to prepare. Serve this flavorful dish with sliced tomatoes or a tossed salad for a delicious one-pot family meal. Enchilada sauce, peppers, and olives help to flavor this layered ground beef and tortilla chip casserole. This ground beef tex-mex casserole is a cinch to prepare and bake with a simple refrigerated biscuit topping. It's a nicely-seasoned meal in one dish with Tex-Mex flavors, perfect for a busy day meal. This tasty ziti bake is prepared and layered with a creamy tomato sauce, cheese, and ground beef. Serve this casserole with a tossed salad and garlic bread for a perfect family meal. Beans, tomatoes, ground beef, and seasonings make a tasty meal baked with cheese and crunchy tortilla chips. Serve this easy tex-mex chili nacho casserole with broccoli salad and Tex-Mex cornbread. These classic cabbage rolls are always a favorite. The cabbage and rice mixture is rolled into cabbage leaves and baked to perfection in a tangy tomato sauce. This spicy and flavorful ground beef casserole is filled with a well-seasoned ground beef mixture, a crunchy corn chip topping, and a generous amount of shredded cheese. Use a frozen prepared pie crust and this cheeseburger pie will be a snap prepare. Serve this savory pie with fries and a tossed salad or coleslaw for a great family meal. You can make this unstuffed cabbage casserole in a fraction of the time it would take to make cabbage rolls! This flavorful ground beef and cabbage combination are made with lean ground beef, tomatoes, and cabbage. Serve the dish with hot cooked rice or mashed potatoes. This lasagna is made with a Bolognese style sauce, layered with ricotta, mozzarella, and Parmesan cheeses. We use ground beef and ground sausage in this meaty version, but it could be made with all ground beef or a mixture of ground beef and ground pork. This simple beef and bean casserole is a mixture of lean ground beef, peppers, and a little Cheddar cheese. It's an excellent bean dish to serve with pulled pork and slaw, or top it with refrigerated or frozen biscuits and make it a one-dish meal with a salad. 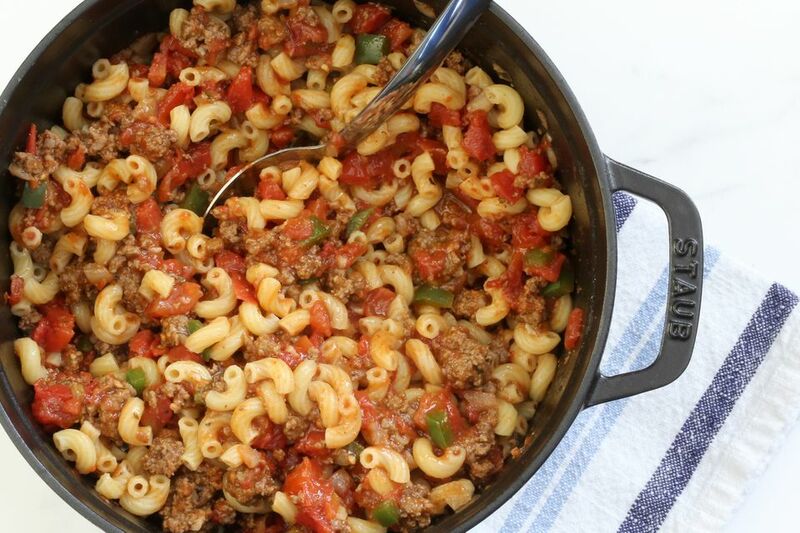 This easy macaroni and ground beef casserole recipe make a great-tasting family dinner for any night of the week. Add a BLT salad and warm rolls or crusty bread for a perfect meal. This classic American chop suey is an easy one-dish meal to prepare for a family meal. The ground beef mixture is cooked in the slow cooker, then the cooked macaroni is added just before serving time. Serve the pasta dish with biscuits and marinated vegetable salad.